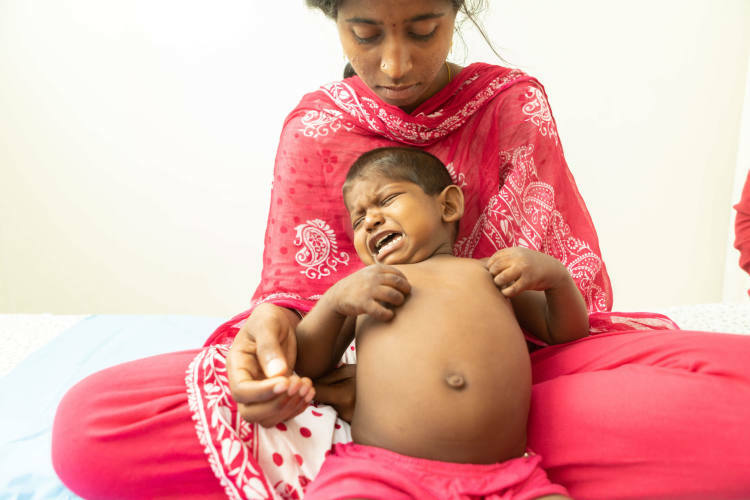 2-year-old Bhargav has a rare liver disease which has caused his stomach to swell and bloat, as well as gives him skin rashes and itching. He can’t stop scratching himself, and no matter how much he does, the itchiness of his skin doesn’t go away. 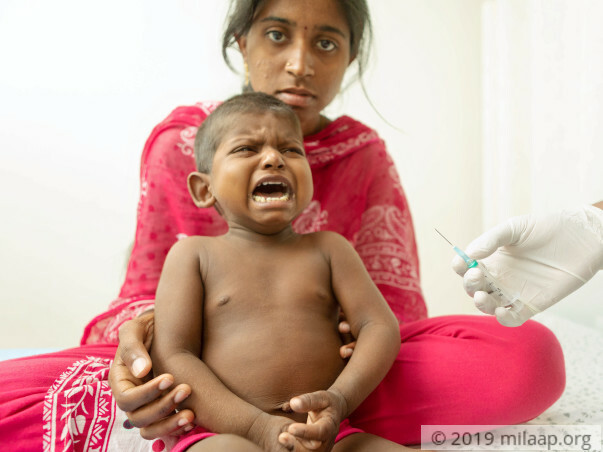 Often Bhargav is found crying and screaming because of his itchy skin. 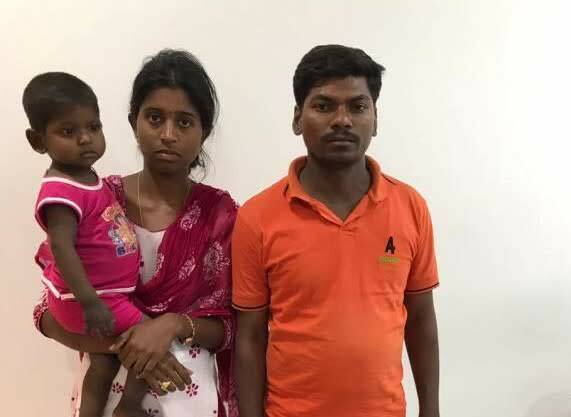 Naresh and Nagalakshmi were happy about starting their journey of parenthood. But their happiness at their son’s birth was very short lived since they had to start running around hospitals and doctors almost as soon as he was born. His pain has given his parents sleepless nights. He tosses and turns and starts crying because nothing relieves him of the irritation and pain. 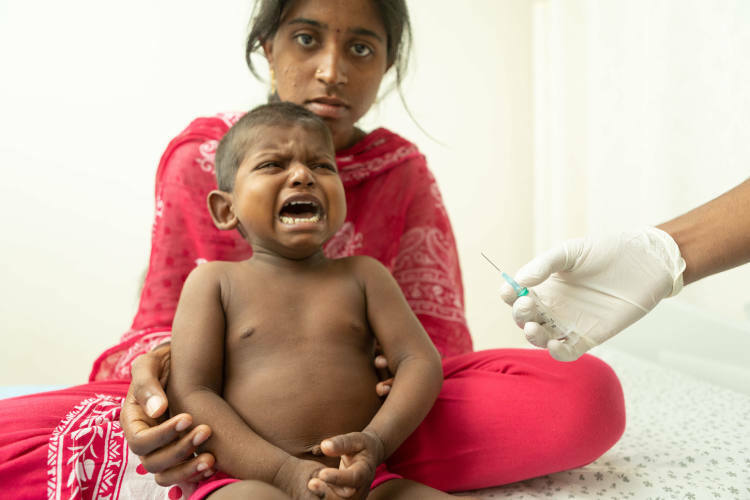 Seeing him suffer, his mother Nagalakshmi often breaks down crying. For his condition, he has been on constant medication for over 2 years now. 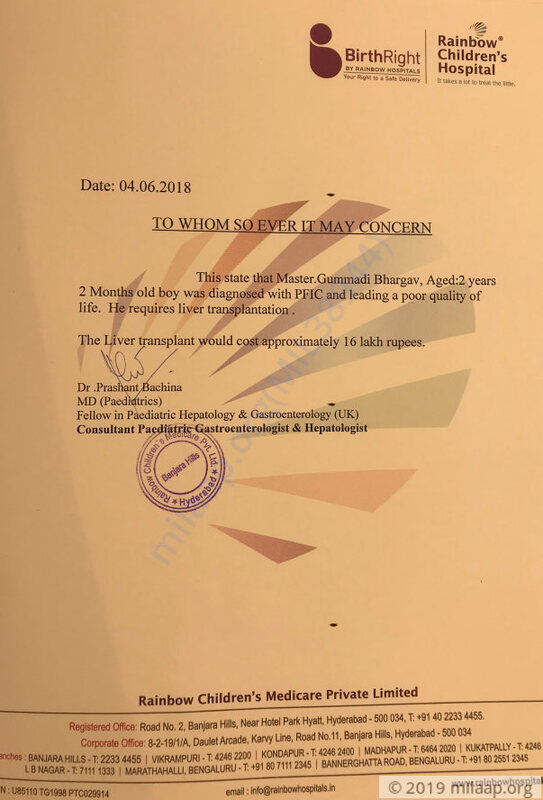 Initially, he started recovering, but soon his condition started to worsen again and the doctors told his parents that a liver transplant is the only way to cure him. He needs a transplant within a month in order to survive. Naresh works as a daily wage laborer for a meager salary. He has spent over Rs 4 lakhs towards his son’s treatment already, by spending all his money and borrowing from his relatives and friends too. Now all his sources have run dry and he has no means to fund his son’s treatment. In order to save Bhargav, his family needs a hefty amount of Rs 16 lakhs which is beyond their capacity. Thank you for your wonderful love ans support. This means a lot to us. Bhargav is now doing okay. The father has been identified as a potential donor. The doctors are yet to schedule the surgery . A few more tests are due post which, the same shall be scheduled. We are all hopeful about his recovery. Please keep praying. Thank you once again! Bhargav was discharged from the hospital and he is doing well than before. However, the transplant has been delayed for him. Doctors are still unsure that whether is body will be able to take the stress of transplant, we have been called upon by them for regular check-ups. Bhargav is currently at home but he will be admitted in the hospital in the coming few weeks. His transplant is still in line and doctors are yet to decide a date for the same. He is stable but he complains of pain and has trouble in sleeping. The potential donor is yet to be decided by the doctors. Thank you so much for the support which you have shown towards him, we shall keep you all posted.